Today, we are featuring the elusive Cannelloni, heard about by many and tasted by a lucky few! Costanzo makes a stunning Cannelloni which is stuffed with minced veal and a few other secret ingredients which I cannot divulge ;). 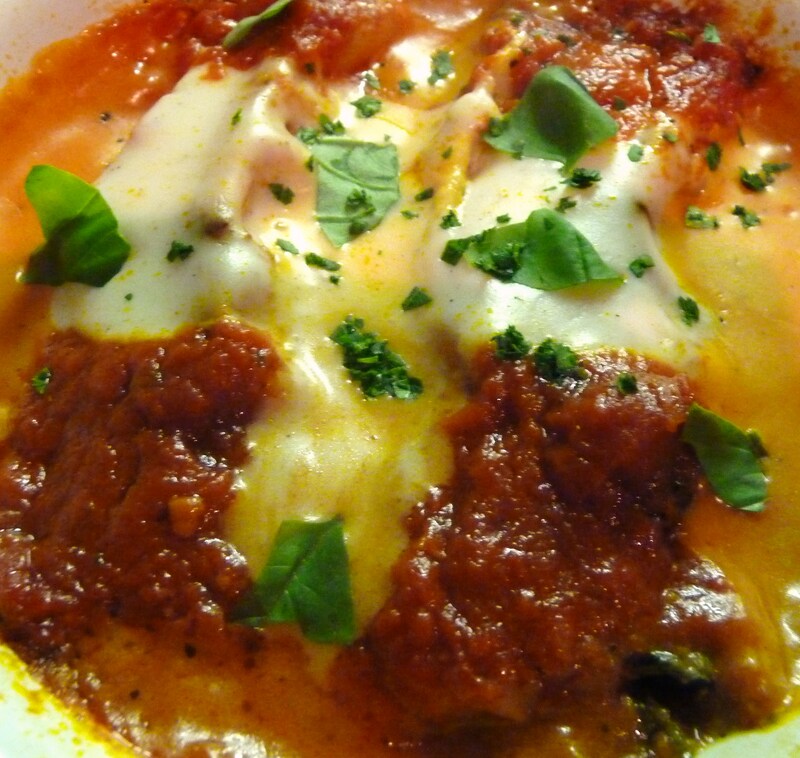 Served with his home-made Napoli sauce and fresh basil, this is an extremely popular dish, hence why so many people ask for it and like his Parmigiana di Melanzane, it doesn’t last for long! He doesn’t make this all the time so it appears on our specials menu when he has some quiet time to make a tray. The Cannelloni can be served as a starter or main course and is served piping hot from the oven so always heed our warning about the top plate being hot when we serve it and there will be no more burnt fingers! We had an extremely busy week last week and I think we are all suffering from exhaustion from almost a full week of very late nights! Saturday lunch and dinner was non stop from start to finish with customers rushing in before their concert started in the concert hall and after the concert another rush of people headed our way, desperate for something to eat before heading home. It was also the Scottish Cup Final on Saturday so we had a real mixture of customers in the entire day, from classical buffs to football supporters (very well-behaved of course!). We have to give a big thank you to the gentlemen who had come in after the Cup Final and provided us with entertainment the whole evening. Who knew that football fans could be so cultured with their renditions of what seemed like every musical that had ever been produced in the past 50 years! We had Oklahoma, Fiddler on the Roof, then onto Pavarotti and then they started taking requests! One of them had a voice so big that it drowned out the real Pavarotti on our speakers, he was very good though thankfully! A very good time was had by all and we just hope that everyone had ample supplies of aspirin for the morning after, some sore heads we think! Talking of fiddlers, I must apologise for the blog being messed around with these past couple of days. It has always been a work in progress and I decided to have a little tweek at a few things which resulted in me changing the whole blog! Things will probably change again no doubt until I am completely satisfied with the entire look of the blog so bear with me. For customers who have been in and I have taken a photograph, I have loaded all of them onto the gallery now and it should be a bit easier to navigate around than it was before, getting there slowly but surely! Have a great week everyone and hope to see some of you all soon! This entry was posted in Delicious Dishes!, The Caprese Restaurant and tagged Cannelloni, customers, delicious, home-made, napoli, Parmigiana di Melanzane, pasta. Bookmark the permalink.